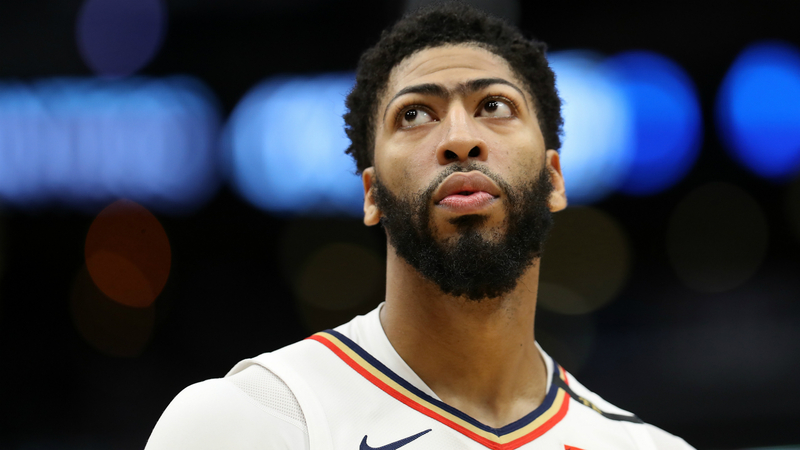 Pelicans executive vice president of basketball operations David Griffin was hired with the the task of keeping Anthony Davis, and he's confident he'll be able to convince the big man to stay. During his introductory press conference Wednesday, Griffin expressed optimisim Davis will want to remain with New Orleans after speaking with Davis' agent, Rich Paul, according to NOLA.com. “We have a long successful history with Klutch Sports. Rich Paul and I have spoke about Anthony. We are both excited about what we could potentially build here. ... Rich Paul and I were part of succeeding," Griffin said in reference to his time as general manager with the Cavaliers when he worked with Paul's client LeBron James. Griffin was a part of the team that negotiated a deal with Paul to bring James back to Cleveland. Griffin explained he hasn't spoken with Davis yet, but the two are expected to meet "soon" to discuss Davis' future. The Pelicans hired Griffin following a season filled with speculation around Davis' future after the big man requested a trade in January. New Orleans reportedly had offers on the table from the Lakers, however, they didn't reach a deal before the deadline. Davis said earlier this month he's hoping to sit down with the new general manager once the Pelicans make that hire. New Orleans fired Dell Demps in February, and Danny Ferry has filled in on an interim basis. "I'm under contract still," Davis said, per ESPN. "I have a year left. Obviously it's a possibility it could happen. I don't have ill will towards anybody. I know that it's a possibility that next year I could be here as well. So I can't be mad if I'm here next year. "Seeing what happens. Seeing who the Pelicans make their GM and having a conversation with that person about the future. My time here has always been great. I love playing here. It's something that I will definitely hold in my heart forever, but the next step is waiting on the Pelicans (to fill) that GM job." The Pelicans finished the regular season ranked 13th in the Western Conference with a 33-49 record.